"They didn't know it couldn’t be done"
Howard Thomas shared this picture from a 1977 newsline. Don Knight - CE/SU: Great memories of being a small part of the construction of just about all of the TAPS facilities. It was all good, but best memories are of flying the 185 from camp to camp before completion of the haul road. I recently read "THE LANDMEN" and learned a bit more about an earlier process of the project. Mel Jessee - CE/SU: I began work with Alyeska working in Building #1555 on Fort Wainwright in Fairbanks during construction in 1975. I worked Contract Compliance verifying our major contractor billings were according to the contract rates and terms and that the costs were adequately supported by authorized receipts. I worked under Bill Mumby, and our team relied heavily on information gathered by Keith Burke's Field Auditors team. I was moved to Anchorage in April 1977 to help close out the Payables side of the construction contracts. 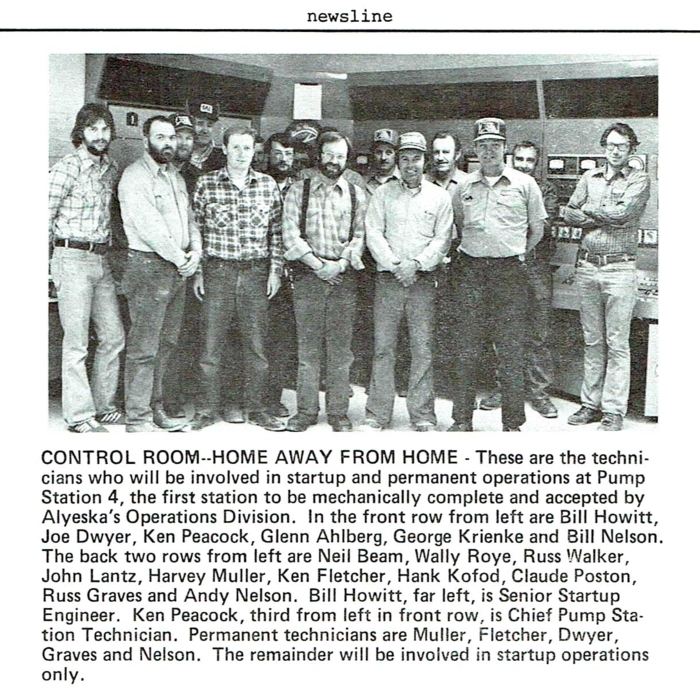 I later transitioned into the "Operating Company" at start up as the Senior Cost Accountant supporting the Southern Pipeline District and Superintendent Earl Boling and his Management staff that included Harold (Alex) Alexander.